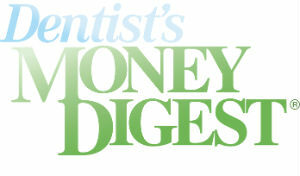 Dr. Nick Calcaterra was recently interviewed and quoted extensively in an article in the prominent dental trade journal, Dentist’s Money Digest. DMD, as it is commonly referred to, is a dental publication read and embraced by tens of thousands of dental professionals across North America and beyond. Dr. Calcaterra was sought out for the article for his expertise and research into the successful treatment of patients with celiac disease. He was the one of the first dentists in the United States to begin publicly offering a gluten free dental experience to those patients with either celiac disease or gluten intolerance. 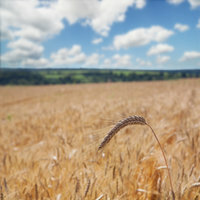 A field of wheat – gluten galore! Celiac disease is one of the most commonly seen gastrointestinal disorder and is believed to affect approximately 1 out of every 140 Americans. Individuals with this condition who consume gluten – a protein found in wheat – experience gastrointestinal pain and damage as well as many other systemic effects. Unfortunately, gluten can be found in many commonly used dental products, thereby unknowingly exposing thousands of celiac patients to gluten every day. As already mentioned, Dr. Calcaterra was consulted for this article based upon his pioneering knowledge on providing dental treatment to patients with celiac disease. For additional information on how we can offer a gluten free dental experience, see this page on gluten free dentistry and this one on gluten free fillings. Are you a celiac or gluten intolerant patient who would like an appointment? Or do you wish to interview Dr. Calcaterra? Please call us (203) 799 – 2929 or visit this page.